Among the challenges parents face with their toddlers is getting them to brush their teeth twice a day. Why is brushing baby teeth so important? Children get cavities too, and baby teeth, even though they fall out, have an important purpose. Baby teeth help a child chew, smile and speak. They also hold a place for adult teeth, and, if a child loses a baby tooth before the permanent tooth erupts, it can cause crooked or crowded teeth in the future. So, kick-starting early oral health habits, such as brushing twice a day, is a good way to prevent cavities and save those baby teeth until it is time for them to fall out. Let's look at some fun-shaped children toothbrushes, to help turn brushing your child's teeth into a fun task for everyone. Remember to use a small amount of fluoride toothpaste, size of a small pea - no more. Bonus tip: Sing a tune while you are brushing with your toddler, long enough for them to ensure all teeth are correctly clean. Your child will love it. This toothbrush has a flexible body & a comfortable grip handle. 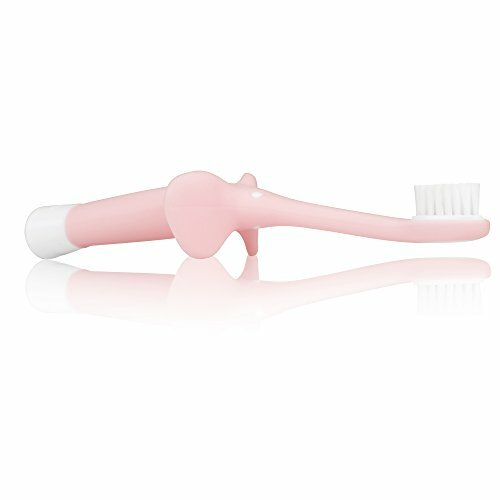 It is gentle on your baby's gums & the elephant shape will make tooth-brushing time fun. Great for infants and toddlers! The best way to get your child to brush their teeth regularly is to make it fun and with this fun-shaped banana toothbrush, this task will be easier. Just looking at it makes you want to try it yourself. Fun, made of 100% food-grade flexible silicone and comes in different colours (yellow, pink & blue). Colossal side handles make it perfect for kids to grab. Thick bristles on the toothbrush are great for massaging gums during teething. This toothbrush also doubles as a teether. 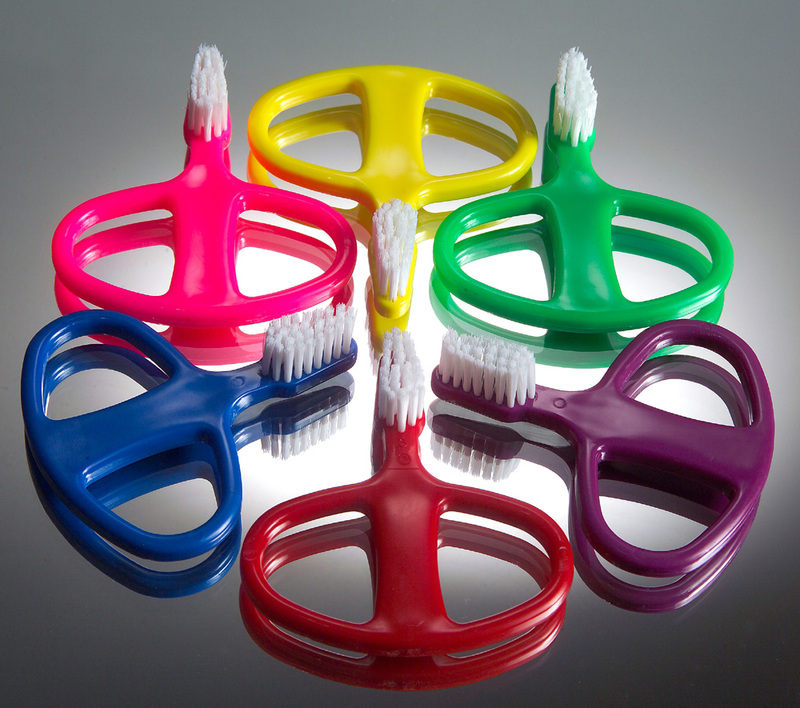 A good alternative to more expensive Banana-shaped toothbrushes are ring-shaped toothbrushes which come in packs (anywhere from 5 - to 24). You need to change toothbrushes every 3-4 months anyway. 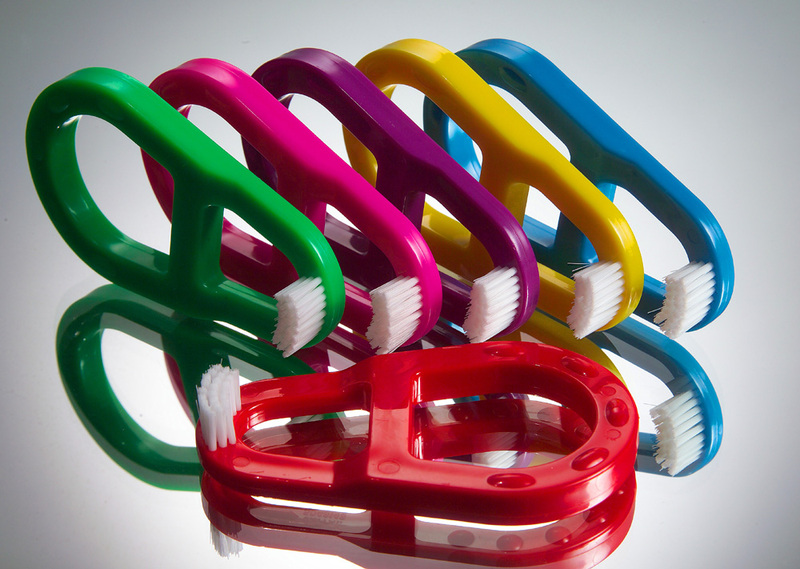 Simple, colourful and, most importantly, effective toothbrushes with soft bristles for gentle brushing. The Jordan Step 1 toothbrush is designed with a short neck and a teething ring with ergonomic handle. This package comes in the pack of 4 for children up to 2 years of age. Bonus for parents: This toothbrush has blue bristle coloured dots, helping you to know how much toothpaste to use when brushing with your child. This brush is similar to Jordan Step 1 with the bonus of a cap over the toothbrush head - great for travelling. This fun puppet toothbrush kit comes with four multicoloured fun puppets that will surely keep your child entertained. This product is made out of 100 % food grade silicone. This toothbrush kit also comes with an entertaining storybook to help your little one make brushing fun. We are sure that this list will make selecting a new toothbrush for your child easier and more fun. Your goal should be to make the process of brushing fun and exciting for your child and yourself. For questions or to book your appointment call 905-635-1100.